A tour reservation system for visits to Mt. Halla National Park will pilot in October. 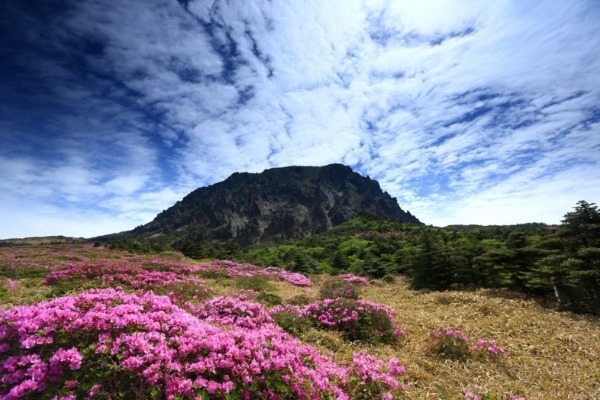 Jeju Province announced on the 1st its decision to implement a reservation system for access to Seongpanak, which leads up to Baekrokdam, and the Gwaneumsa climbing routes, out of concern of environmental damage and traffic pressure due to visitors. The trial operation of the reservation system will be carried out ahead of the full implementation in 2020. Starting in October, visitors who wish to climb to the top of Mt. Halla must reserve online before the opening time of the park on the day of the intended visit. The number of visitors to Mt. Halla was only 880,000 last year, but before that, the average number of visitors reached 1 million a year. There were continued criticism that the number of visitors had surpassed the appropriate capacity. The province plans to set a limit to the number of visitors based on the appropriate visitor capacity determined in last November’s ‘Research Commission for Management Plan and Visitor Accommodation Plan in World Heritage Sites, etc.’ The research commission concluded that the maximum number of visitors for all five hiking trails combined would be 3,445 persons per day. It is expected that the reservation will be closed when the numbers reach the maximum of 700 visitors for Seongpanak climbing trail and around 480 for the Gwaneumsa trail.